The Kenya Broadcasting Corporation (KBC) was first established in 1928 when the British were bringing ranchers to settle their new colony, because they needed a format to receive news from home. At that time, it was solely a British radio station. The Kenya Broadcasting Corporation has gone through many changes to become the media giant that it is today. In the 1950s, broadcasts began to service the local Africans as well as the white farmers, and in 1954 it was officially known as the Kenya Broadcasting Service (KBS). Then in 1961, the service was changed to the Kenya Broadcasting Corporation though it still remained in government control. They began broadcasting limited television coverage in 1962. Colour television arrived in 1978. When Kenya became an independent country in 1964, The KBC was renamed 'Voice of Kenya'. The reason for the change was likely to distance the company from Britain at a politically sensitive time. For many years after, the KBC was closely tied to the government, particularly while Daniel arap Moi was president. Government-sponsored material was commonly broadcast every day, and there was no competition for the airwaves. After Mwai Kibaki came to power in Kenya, the KBC was no longer the mouthpiece of the government. This president also allowed more freedom for the media, and the media industry has flourished as a result. Many new stations and media companies have been launched. Today, the KBC consists of numerous television and radio stations, with a general focus of education, information and entertainment with African culture in mind. The style and content of the KBC is very similar to that of the CBC (Canadian Broadcasting Corporation), particularly the radio programming. 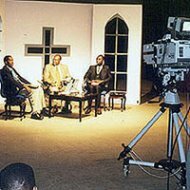 The main television channel produced by the Kenya Broadcasting Corporation is Channel 1, which is on the air nearly 20 hours a day. Programs include many local productions, as well as popular international shows. Channel 1 is broadcast free-to-air, so that anyone with a television and antennae can pick it up. The KBC also maintains a pay-per-view Channel 2 station, and a new Metro TV channel for entertainment. Metro TV has a limited distribution around Limuru. The KBC operates a number of radio stations and services, most of which are intended as a source of education and information for all Kenyans. 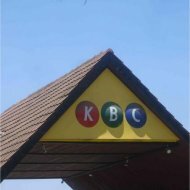 The two main stations are the KBC English Service and the KBC Kiswahili Service. Programming for both includes new, talk and music shows in either language. The broadcast range is quite extensive, and both are available throughout the country on varying frequencies. The Kenya Broadcasting Corporation also maintains 3 specialty stations as well. Metro FM was originally a general entertainment station, but has been changed to offer exclusively reggae and dance music. Coro FM is another station for music, but is broadcast in the Kikuyu language rather than English. Their latest offering is Pwani FM, specifically for the coastal audience surrounding Mombasa. The full programming schedule for both the television channels and radio stations can be found on the KBC website. Also on the KBC website is the latest Kenyan news stories, weather, stock information and even a streaming video feed of what's playing on Channel 1.